From the Fire TV’s excellent voice search feature to muttering “OK Google” into your Android Wear smartwatch, voice control is a big trend in tech today. 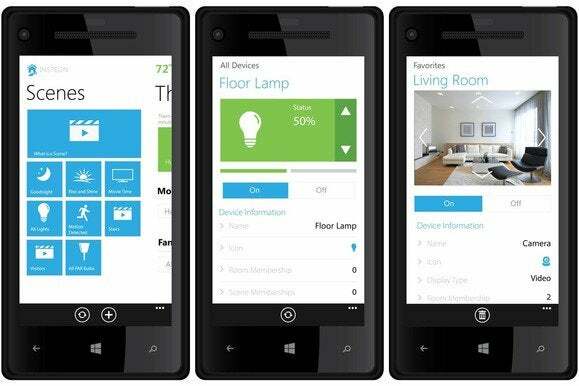 Insteon is listening, and on Wednesday the home automation company announced Cortana integration in its Windows Phone 8.1 app. Cortana is Microsoft’s answer to Siri and Google Now—an intelligent assistant who responds to spoken queries. 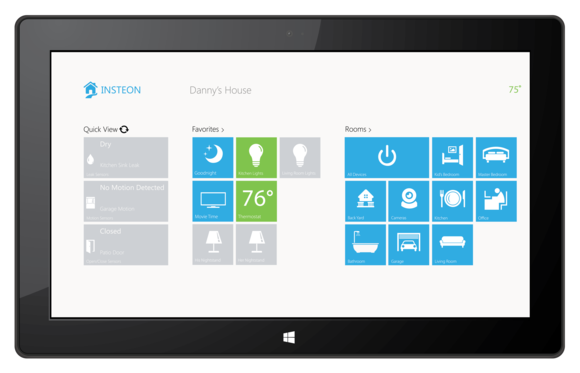 When the Insteon app for Windows Phone 8.1 rolls out in the coming months, you’ll be able to give Cortana spoken commands to control your Insteon-branded smart home devices, like lights, cameras, and thermostats. Cortana can do simple things, like turn on lights and show you camera views, and for more advanced features it launches you into the correct screen in the Insteon app. At the Microsoft Store in San Francisco, Insteon’s director of marketing Isaac Sanz demonstrated some of Cortana’s tricks. “Insteon, turn on the light,” he said, and a dimmable LED light bulb flickered to life. This also launched the Insteon app, putting the slider to dim that light right at his fingertips. He also said “Insteon, show me the camera” to see what was being captured by Insteon’s IP camera. When he said, “Insteon, I’m really hot,” Cortana sympathized (smartphones hate to overheat, after all) with “No one likes to be hot. Would you like to adjust the thermostat?” and opened the Insteon app to the thermostat-adjustment page. The app I saw is still in alpha, Sanz explained, which is why he couldn’t just tell Cortana his preferred temperature and have her adjust the thermostat appropriately. Still, having Cortana link you right to the exact part of the Insteon app is handy, and Insteon plans to add more features. Already, Cortana is able to activate specially created scenes that you’ve set up—for example, “Insteon, turn on Movie Time” could dim all the lights in your home theater at once, while firing up your popcorn machine. Insteon has a nicely tiled app for Windows tablets too. Insteon announced a partnership with Microsoft last month, which included Insteon apps for Windows and Windows Phone, and well as three Insteon kits to be sold in Microsoft Stores, starting at $199. The Insteon apps for Windows look great, with tiles showing you the status of all your sensors and connected devices at a glance. 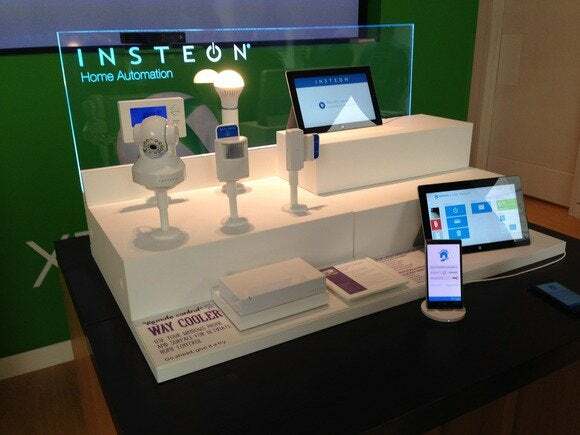 Insteon sells about 200 products, letting you piece together a connected home system that fits your needs. You need the Insteon hub control unit to access your smart devices from your smartphone or tablet and get notifications wherever you are, but the peer-to-peer devices can still talk to each other even if the hub goes offline.